Great location! 1/2 mile to Silver Park and Good Food Store just blocks away! 3 Bedroom, 2.5 Bathroom townhouse/Condo. Range, refrigerator, microwave, washer/dryer included. TRUE master suit with walk in closet. Bedroom that opens to a patio and grass common park area. Attached single garage. Sewer, garbage included with rent. Rent $1,350/mo Deposit $1,450. Dog considered upon application, property is not fenced. Pet deposit $250 and pet rent $50/mo required. Available to rent August 10, 2018. 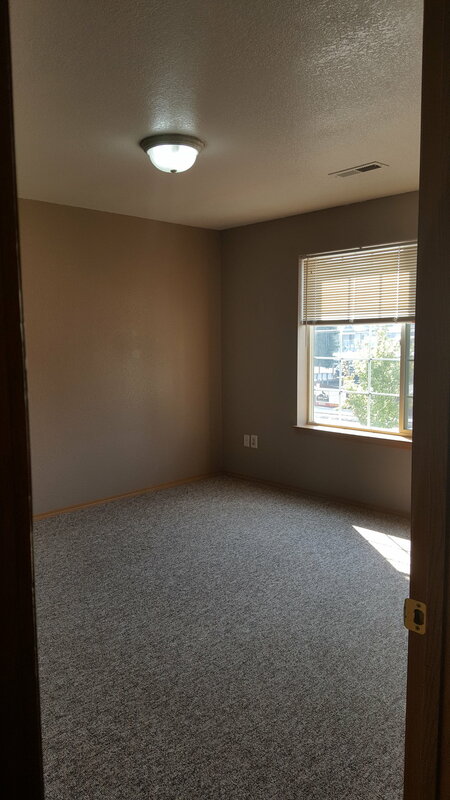 This property is listed with ABC Property Management of Missoula. Sheila Mischke Broker. To see house call Sheila at 406-214-4046. Texting works Best! One year lease. Click on photo below to see slideshow of photos.